Bacardi is bringing it’s untameable spirit to Johannesburg once again in Feb but this time cooler than ever before with the Bacardi Holiday Club. 3 Stages, over 30 acts and only 1500 tickets available. This is the ultimate all-inclusive throw down you won’t want to miss which is kicking off 2018 in the most epic way. 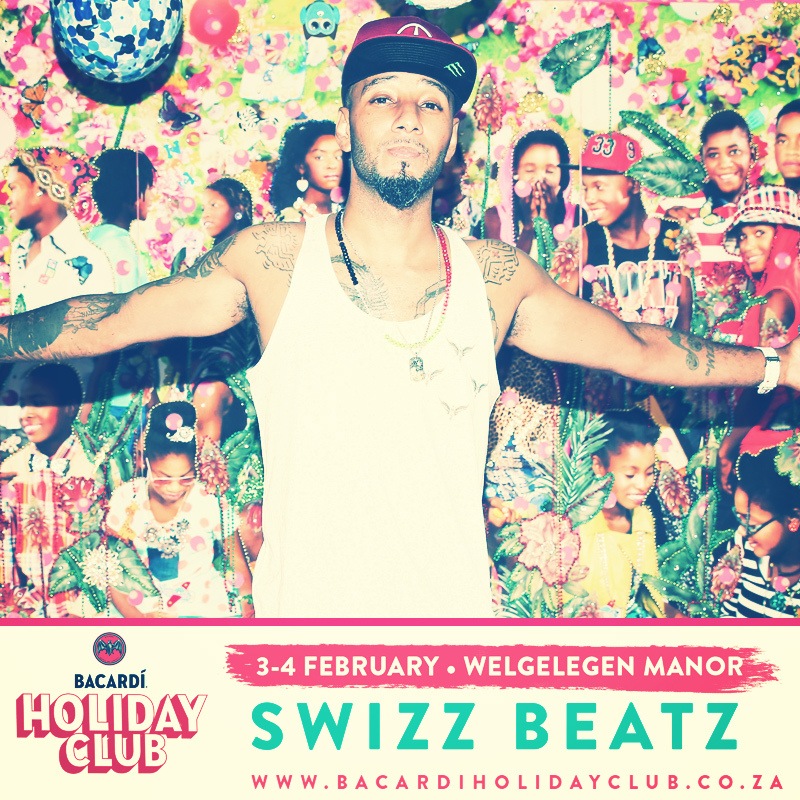 Bacardi is excited to announce international artist Swizz Beatz joining the Bacardi Holiday Club with some of South Africa’s biggest names Cassper Nyovest and Mafikizolo as well as the Bacardi House Party Sessions headliners DJ Speedsta, DJ Shimza, Frank Casino and Nadia Nakai, just to name a few. Taking place 3 – 4 February 2018 on the sprawling gardens of Welgelegen Manor house just an hour outside Johannesburg. Bacardi Holiday Club has capped the number of attendees to create an intimate all-inclusive festival experience. Tickets cost R1490 and include all your food and drinks as well as a camping spot where you can either bring your own camping gear or upgrade to a Glamping tent. Parking is quite limited around Welgelegen Manor house so it’s recommended to carpool or take paid transport. Gates open at 10:00am on Saturday, 3 February 2018, or eager beavers can secure their spot and start the action early from Friday, 2 February 2018. Keep your eye on www.bacardiholidayclub.co.za for more details. Are We Ready For New Kanye West Music To Drop?